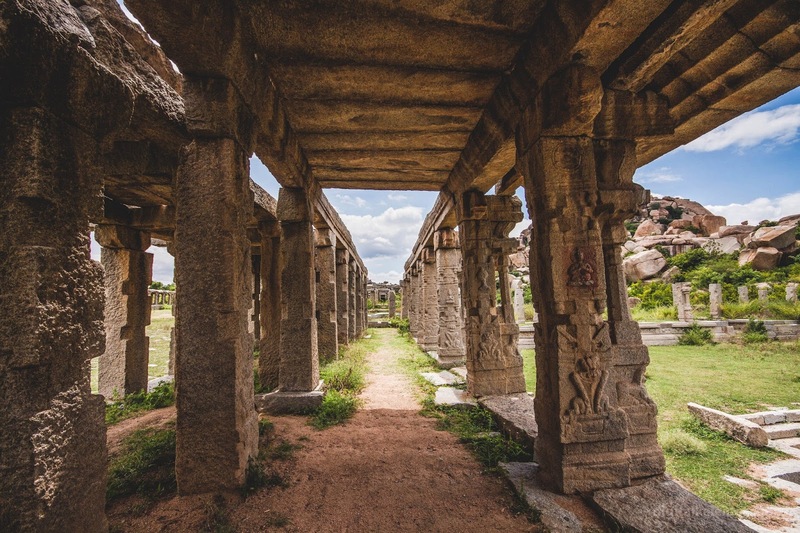 The ancient ruins of Hampi is like a giant museum spread over 25 square km of rocky landscape with ruins of ancient tombs, palaces and temples scatted all around. 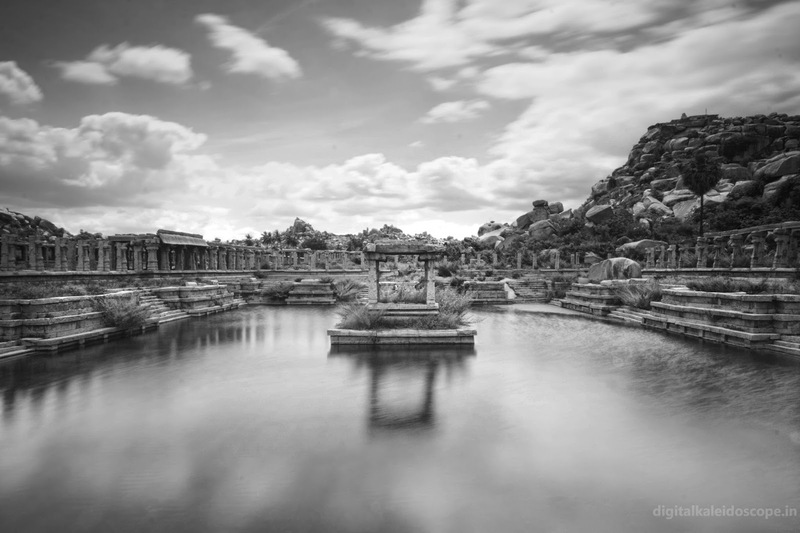 To see all the monuments in Hampi it would take you at least 3 days, these are some of the sights I visited during my trip to Hampi. 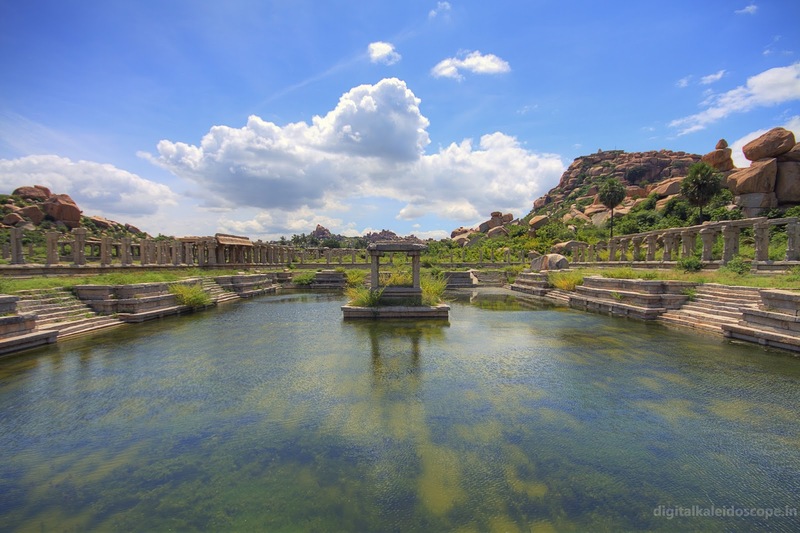 Pushkarni are sacred water tanks which are built close to a temple; these tanks are used by the pilgrims to take bath. Dipping in these holy waters signifies the purification of both body and soul. The wells are also used in most temple rituals and has a lot of significance and respect in Hindu religion. 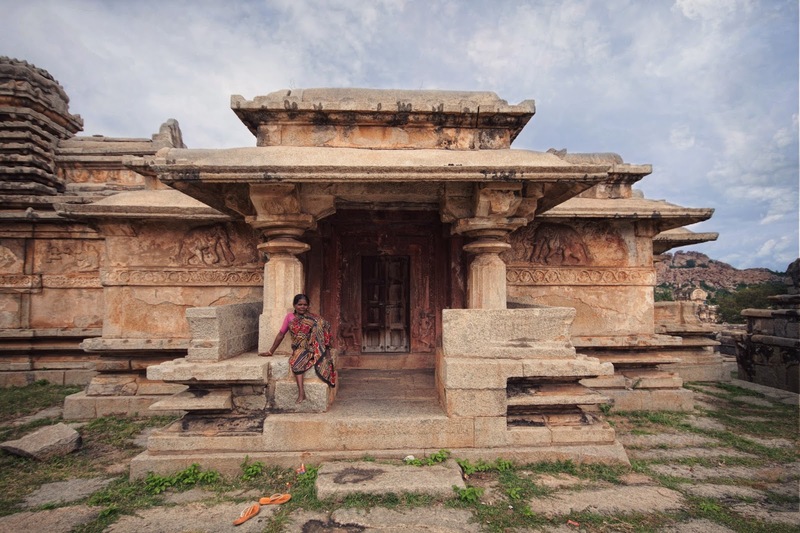 There are many such temple wells all around Hampi , the most popular one being the step well in the Royal enclosure next to Vittala Temple. This hill was once fortified with high stone walls, watch towers and was of strategical importance. Now the walls have crumbled and the slopes are left with the ruins of temples, archways and pillars. 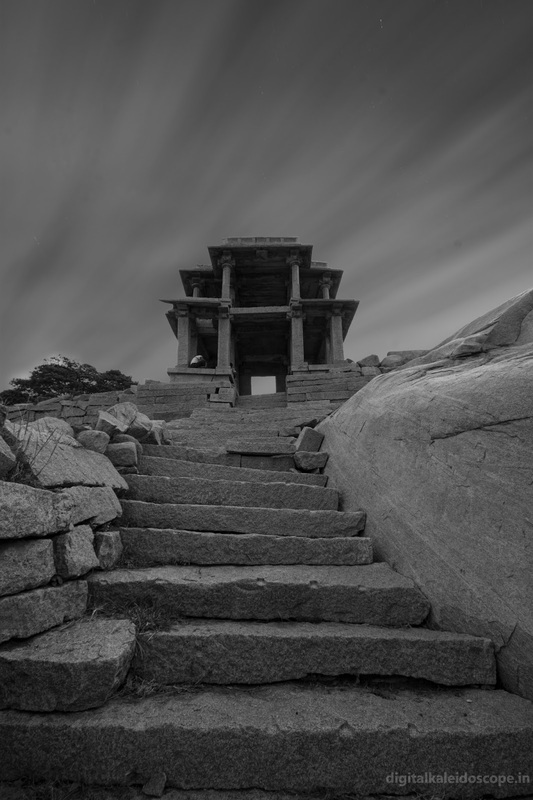 Hemakuta hill is a good vantage point for photography especially at dawn and the view of Virupaksha Temple from up here is breathtaking. The hill also has religious significance; it’s on the same hill that Lord Siva (God of Destruction) did penance before his marriage to a mortal. 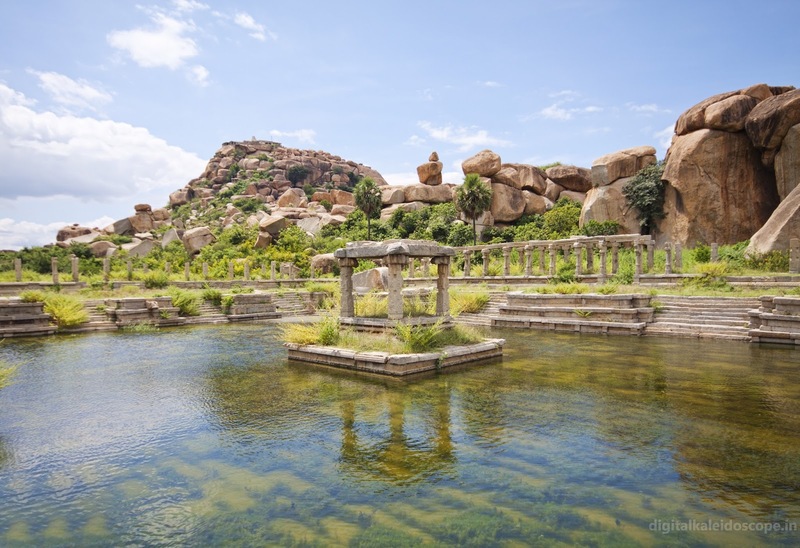 Thera are a lot of small temples dedicated to Lord Shiva scattered all over the Hill and the biggest one being Virupaksha temple. 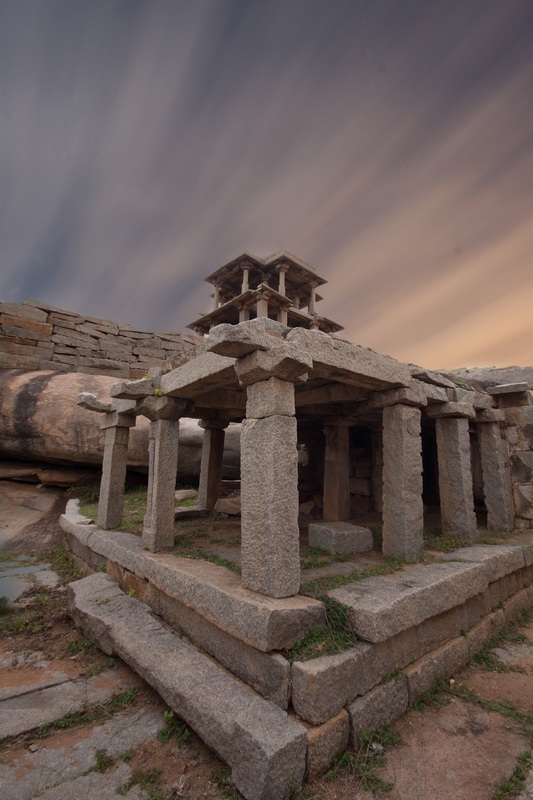 A 15 minute trek will take you to the top and you get a birds eye view of the Virupaksha temple complex. We climbed the hill after a full day of exploration and wanted to watch the sunset from the hill top, unfortunately my camera died and I missed capturing some amazing sunset photos of Hampi. 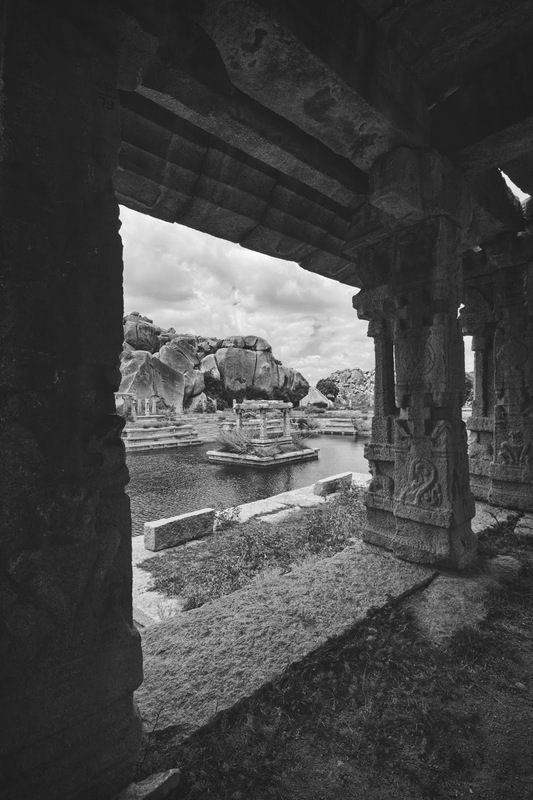 The hill slopes are packed with small temples from the Vijayanagara period with the most prominent one being Moola Virupaksha Temple. 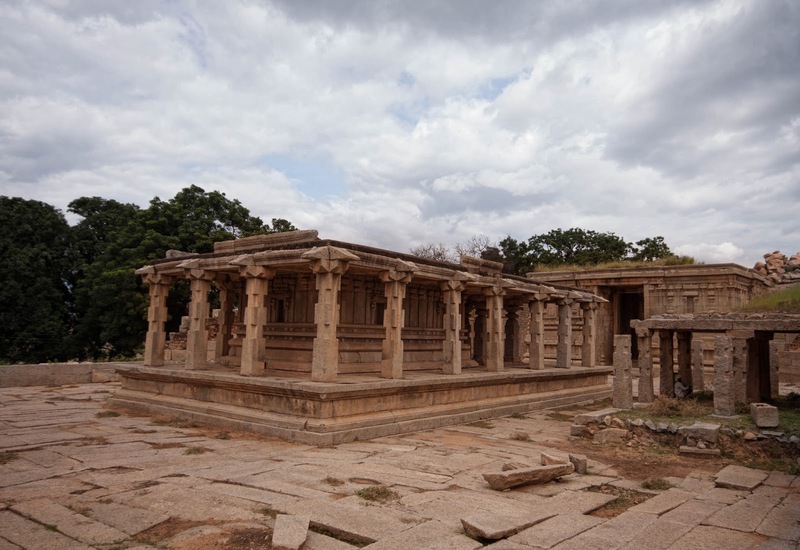 This is said to be the original Virupaksha temple and its name also suggest the same; Moola translates to origin or base. 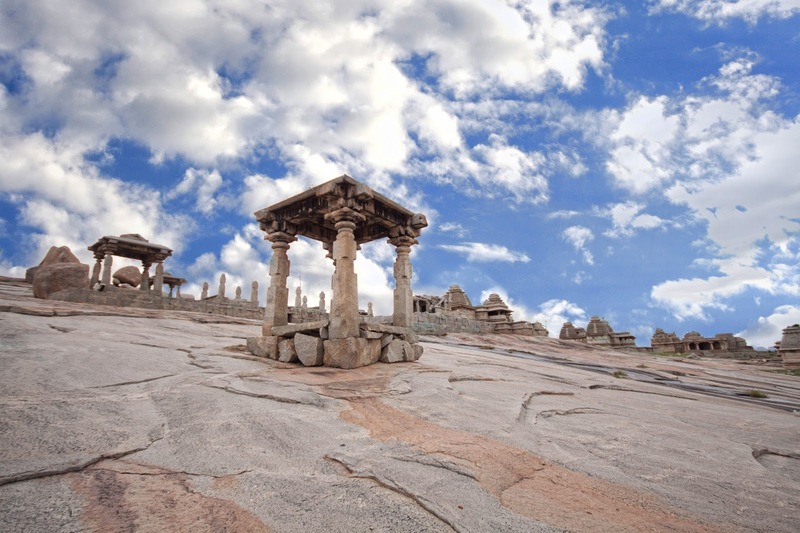 The top of the hill is flat with a large number of temples archways and pavilions; these are referred to as the Hemakuta group of monuments. 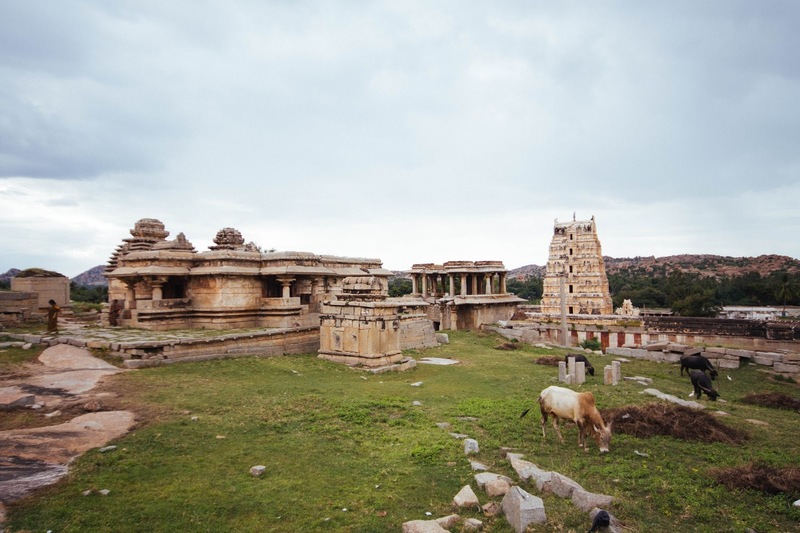 The buildings here are older than the Vijayanagar Empire and you can easily make out the difference in architecture from the rest of the monumetns.